Canada has been the most favorable destination among many people who want to migrate and settle down. Each year around 2,00,000 individuals are permitted to visit Canada as the permanent residents. The individuals who seek to settle down in Canada had to finish the process of application and then they are offered a chance to start a new beginning in Canada. An individual can gain entry into Canada as a permanent resident once they get approval. They would also get a Permanent Resident Card after which they could enjoy similar rights as citizens of Canada. Quebec Province also provides different options for the individuals who seek to settle down in this region of Canada. This province provides a separate process of assessment for the individuals who seek to settle down in Quebec. Individuals can migrate to Quebec as a permanent worker, for business purpose, as a student and also as a temporary employee. Quebec offers permanent residency under the specified categories. Individuals could apply to become the Canadian permanent residents under its Skilled Worker Program. The applicants are being assessed on the basis of education, language, work, age. Individual can come to certain province of Canada that they seek to migrate and settle down, this process permits an individual to get the Canada permanent residency through nominating an individual they seek to include in their immigration and settlement selection. With this category, the individual can get the Canada permanent residency if they seek to settle down as investor, entrepreneurs and self employed individuals. Investors are needed to show the business experience, they should also legally own 8,00,000 Canadian dollars and should also invest 4,00,000 Canadian dollars in the economy of the country. Likewise, there are other requirements for entrepreneurs and self employed individuals. Under this program, permanent residency is offered to those who have their family members that are already staying in Canada as a permanent resident. They might be able to assist you in getting the Canadian PR. This is the program for those individuals who are seeking to do the job and wanted to settle down in Canada. The invitations are being sent to the applicants on merit based on their profile, education, age and work experience. 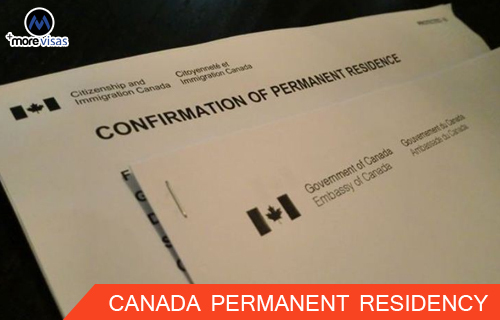 The applicants then can apply for the Canada Permanent Residency. If you want to apply for Canada PR, please fill out our Enquiry Form, so that one of our visa expert will get back to you.